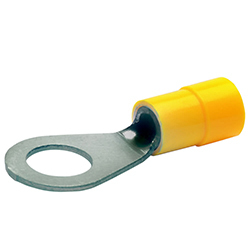 For use with screw terminals to make clean, safe and reliable connections. 10 pcs of ring connector. * Colour may vary from picture and depends on stock available. Note : Please specifiy screw size in order.